The Tax Cuts and Jobs Act (TCJA), also known as the Trump Tax Reform, made widespread changes to the Internal Revenue Code which will affect your 2018 tax return. Here are some of the more common changes that could affect your tax return. 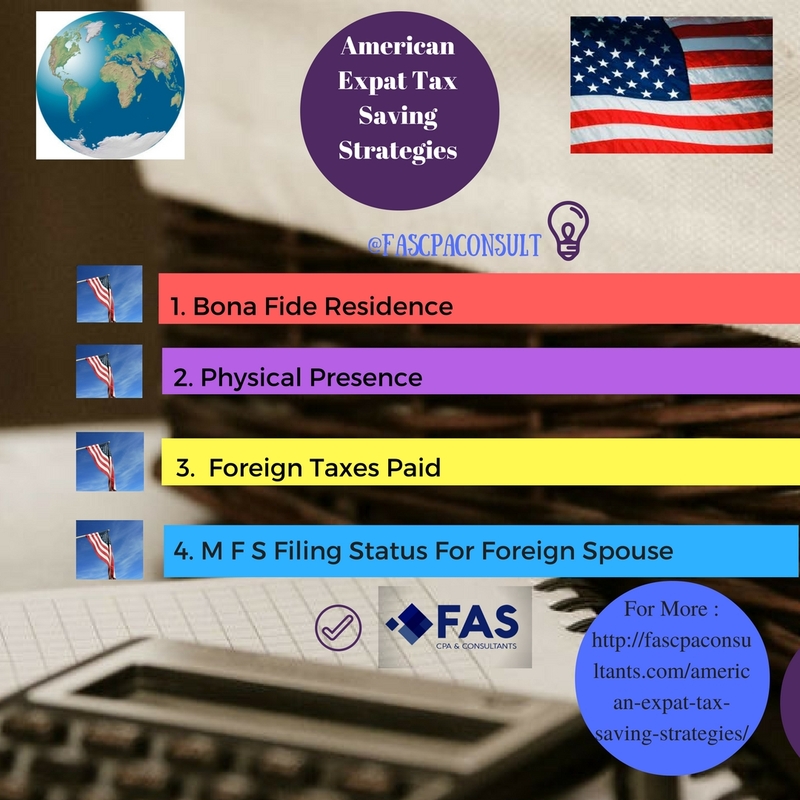 US citizens living and working overseas qualify for the FEIE as they meet the bona-fide residency test and therefore the first $104,100 (2018 exclusion cap) of income earned in the foreign jurisdiction is excluded from US taxation. U.S. citizens and U.S. Expats who own a foreign company with over 10% ownership are in for a big surprise and a higher tax rate. After President Trump’s tax reform signed into law in December 2017, two new taxes were created for U.S.citizens holding profit in foreign companies or offshore: the tax on accumulated profits or repatriation tax and the tax on foreign profits or GILTI: Global Intangible Low-taxed Income. See below for more details. U.S. shareholders of CFC’s, also known as controlled foreign corporations now have to include GILTI into their gross income for that tax year. This is for all tax years of foreign corporations after December 31,2017 and tax years for all U.S. shareholders that fall within the foreign corporations’ year-end for tax purposes. Prior to 2018, a personal exemption amount of over $4,000 per person could be used to reduce taxable income. This personal exemption amount has been reduced to zero for 2018 through 2025. The standard deduction for most returns has been almost doubled over the amount that was allowed last year. The deduction for Single and Married Filing Separately returns is $12,000, Head of Household returns is $18,000, and Married Filing Jointly and Qualifying Widow(er) returns is $24,000. The additional amounts for being over 65 or blind will still be allowed. Because of this change, this year many taxpayers will find that claiming the standard deduction instead of itemizing deductions will give them a lower tax. An SSN is now required to claim CTC. No credit will be allowed for any qualifying child unless the taxpayer provides that child’s SSN or a Work Authorization Permit from Homeland Security. Prior to this year, CTC could be claimed for a child who had an ITIN. The Child Tax Credit has been increased from $1,000 to $2,000 for 2018. The modified adjusted gross income threshold where the credit is phased out is $400,000 for joint filers and $200,000 for all others (up from $230,000 and $115,000, respectively), so many more taxpayers will be able to claim this credit. The maximum age for a child eligible for the credit remains 16 (at the end of the tax year). Beginning in 2018, a new $500 credit is available for dependents who do not qualify for the CTC. Most dependents listed on the tax return who do not qualify for CTC will now qualify for the smaller ODC, including parents who are claimed as dependents. There is a cap on the deduction for state and local taxes paid. 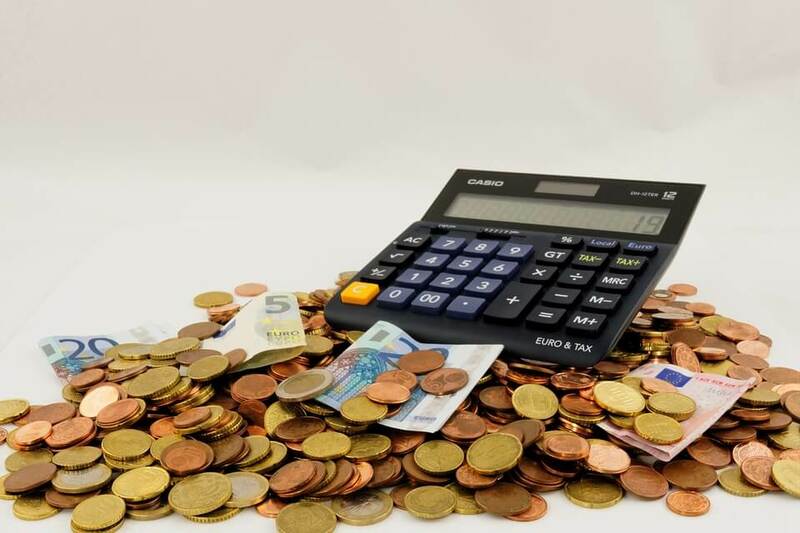 The deduction for state and local income taxes, real estate taxes, and personal property taxes combined is limited to $10,000 per return, ($5,000 for Married Filing Separately returns). You may be able to deduct mortgage interest only on the first $750,000 ($375,000 if married filing separately) of indebtedness. Higher limitations apply if you are deducting mortgage interest from indebtedness incurred on or before December 15, 2017. No matter when the indebtedness was incurred, you can no longer deduct the interest paid on a home equity loan unless loan proceeds were used to buy, build, or improve your home. Beginning January 1, 2018, moving expenses cannot be deducted by most people. Active duty members of the U.S. Armed Forces who move pursuant to a military order and incident to a permanent change of station can still deduct moving expenses and exclude reimbursed moving expenses. Additionally, most taxpayers cannot exclude employer reimbursements for moving expenses from income. A new deduction for qualified business income from a trade or business, including sole proprietorship, S corporations, or partnerships, is available on Form 1040. QBI doesn’t include W-2 wages. The deduction is subject to many limitations, such as income level and type of business. If you have QBI, you can reduce your taxable income, whether you itemize deductions or claim the standard deduction. In its simplest form, if adjusted gross income less itemized or standard deduction is under $157,500 ($315,000 for joint filers) you can deduct 20% of your QBI from income before computing your tax. Fewer taxpayers will be subject to AMT due to increased exemption amounts and phaseout thresholds. We look forward to helping you get the most benefit from these tax law changes. Please contact us for more information, in FAS CPA & Consultants are ready to assist you with all of your offshore tax matters. You can call us or email at support@fascpaconsultants.com and request a free consultation that will answer your most pressing tax questions.